Two weeks after rubber stamping its official support for an extension of existing SkyTrain infrastructure to the University of British Columbia’s Point Grey campus, Vancouver City Council is set to contemplate an extension of the temporary measures in place within the Central Broadway Corridor to curb land speculation from the first phase of the Millennium Line’s Broadway Extension to Arbutus Street. Green Party city councillor Pete Fry, who voted in support of SkyTrain technology, has prepared a motion outlining an “Emergency Interim Zoning” that creates a temporary moratorium on new rezoning applications throughout much of the Kitsilano and Point Grey neighbourhoods, along the potential future tunnelled SkyTrain route west of Arbutus Street. The area that would fall under this new development planning and moratorium area would be 800 metres north and south of the proposed transit route. 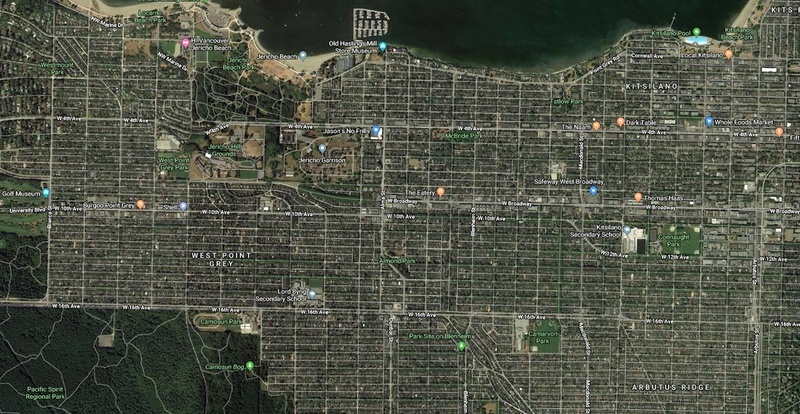 “The potential for land speculation in the Arbutus to UBC Subway Extension planning area poses a dangerous risk to the housing security of tens of thousands of renting Vancouverites, requiring an emergency interim zoning policy,” wrote Fry. This would effectively enact the same policies in place since last year within the Broadway Corridor Plan study area framed by Vine Street to the west, Clark Drive to the east, 16th Avenue to the south, and 1st Avenue to the north. Until the Broadway Corridor Plan is completed in 2020, rezoning considerations will only be provided to already-active applications. Other exceptions include rezoning applications involving 100% social and supportive housing, community care facilities, group residences, 100% below-market rental housing, or 100% affordable student housing associated with educational institutions. Fry’s proposed development plan area would likely fall from Vine Street to the municipality’s westernmost edge at Blanca Street, with the exception of the Jericho Lands, which is currently under its own policy planning program. The BCP process and land speculation curbing measures were introduced by the previous City Council in response to the rampant speculation that was experienced during the years-long Cambie Corridor Plan process. When complete, the BCP is expected to introduce new land use policies that will significantly densify much of the Broadway Corridor for employment spaces and new housing, with an emphasis on rental housing and affordable housing. 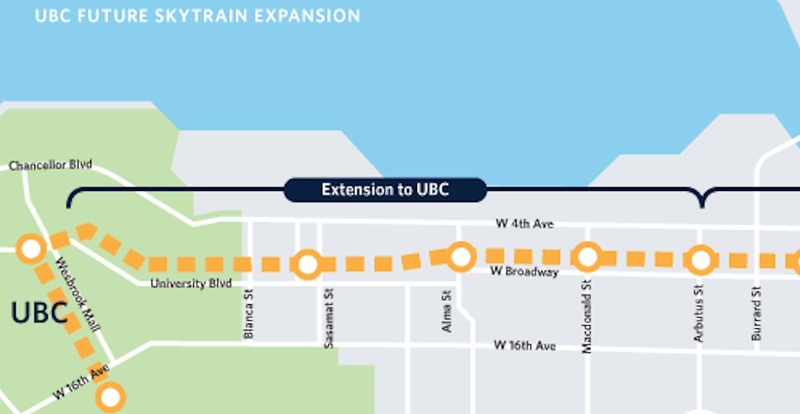 A development plan process within the area of the remainder of the future SkyTrain route would also answer land use questions and identify amenities and infrastructure needed to accommodate the growing population. City Council will consider this proposal in a meeting scheduled for Tuesday, February 12.